Today marks a ground breaking development in the field of Astrophysics. For the first time, scientists have managed to get a hold of the first picture of a black hole. This marks a great step forward in our study of these great stellar constructs, and so far confirms our understanding of general relativity. Going forward observations will, hopefully, point the way towards unifying two of the underpinnings of modern physics which currently stand somewhat in opposition. More on that angle here. The black hole imaged is that at the centre of the Messier 87 galaxy. Described as a ‘complete monster’ by some, it is unfathomably large. Estimates have ranged from (3.5 ± 0.8) to (6.6 ± 0.4) × 109 solar masses, with a measurement of 7.22+0.34 −0.40×109 solar masses being obtained in 2016. This mass is one of the highest known for a supermassive black hole. A rotating disk of ionized gas surrounds the black hole, and is roughly perpendicular to the relativistic jet. This disk rotates at a velocity of up to 1,000 km/s, and spans a diameter of 0.39 light years. M87* as it is known, swallows an entire solar mass every ten years – equivalent to 90 earths in a single day. The photograph from the recent work is below which shows the event horizon itself. The picture immediately after it, demonstrates the jet emitting from the M87 galaxy itself – which is the bright glow of the condensed stars which make up its elliptical shape. The EHT has also been attempting to take pictures of our galaxies heart Sagittarius A*, itself located in Sagittarius Alpha, a very interesting part of space. Soon we will get a picture of our own parent supermassive black hole, which has driven stellar evolution likely for over 13.2 billion years. For those who know little about black holes, physically they are extreme concentrations of matter – so intense they bend literal space time in their vicinity. So intense that at their core, the curve of space time becomes infinite in what is known as a singularity, and all known laws of physics break apart under the extreme conditions. So crazy are these predictions that alot of interesting theories abound – some believe that black holes allow travel to other universes, effectively acting as wormholes – others positing that collapsing black holes themselves create new universes and it was such a process that formed our own. One is probably thinking at this point what this has to do with the Primal Current. In my own approach to Primal Current, these objects are nothing short than some of the strongest stellar portals – that belong to the Lord of the Dark Star. The Lord of the Dark Star is the gatekeeper of the Throne of Hecate, and an immensely powerful stellar being that holds the keys to intense stellar gnosis. As a spirit he is quite aloof and difficult to reach for many people – mainly reachable through Hecate when the time is right and he chooses to reveal himself. Detailed initially in the Red King by Mark Alan Smith, he makes numerous further appearances across Marks work. With this day being so important, I felt it would be great to therefore share some of the stellar gnosis that was obtained in the form of the following invocation and voces magickae sent forth with working with him closely alongside Lucifer. I’m not sure if i’ve published these before publicly, but either way I felt today was a time to post them. That which lies beyond Sagittarius Alpha itself! The above invocational call should be done whilst in a fully cast circle, with the trees fully opened, utilising Hecates Eye (in turn created from an orb of solid obsidian). This is the perfect start to devotional work with him – in additional, the sigil given may be marked in wood, itself painted black, in gold. The LU-THAY-CI-EL, ASH-TE-RAY is a call given by this entity alongside Lucifer to intensify and quicken stellar currents. It can be used in conjunction with the above invocation as mantra to empower the devotional rite. It can also be used for other select purposes – that at some point I hope to detail in print far, far down the line. My first meeting with this entity was of being suspended on a stone platform, in the blackness of space, with the form of Sagittarius A* burning brightly behind it. I was surrounded by some kind of energetic shield, safe from the intense waves of radiation which licked its edges, in turn forming fabulous aurorae. The Lord of the Dark Star extruded into the shield from the event horizon itself, descending several manifested stone steps. He appeared as an immensely powerful winged humanoid form, possessing a canine head, reminiscent of drawings and paintings of the god Anubis. The energy that washed over me from from him was an intense fuschian colour of such vibrancy it was breathtaking. It was here he gave his initial empowerment, something I will always be eternally grateful for. Ever since, the winter solstice and dark moons have taken a special meaning as perfect nights for working with him as well as other stellar entities that are otherwise drowned out every month by moonlight. These are perfect nights to work with the stellar spirits, for obvious practical reasons. To end this relatively short but hopefully interesting piece, I’ll simply add that we live in a time now where our knowledge of the physical stellar makeup is far improved, and that it befits us to to work with them based on this. Just as the ancients based their stellar work on actual observation and direct contact with these entities, so should we, rather than relying on debased systems that have been hacked and chopped together over the last 200 years, themselves based on valuable but flawed medieval century grimoires. For those who are wanting to learn more about stellar magic – start with astronomy. Build up your knowledge of the stars themselves, and of the stellar classifications and coordinate systems. This can seem tedious at first but it is a genuine base – even a very amateur understanding will put you light years (pun intended) in front of those who work outdated methods without understanding the actual, physical realities around us. Your magickal work will simply become much more effective and new avenues will open to you. Of special interest would be examining stellar classification, to better know the types of stars in our sky. For those new entirely to astronomy and stellar, or even planetary magick, the following books work as good launching points with the above kept firmly in mind. There is plenty more but these are my current favourites I can personally recommend. It is important to know where to go from to remain earthed in some manner in this vast avenue of exploration. Going into the new year has been a powerful time here, bringing many changes to my mundane life for the better. I truly feel blessed by my Gods, who have made themselves known in sometimes frighteningly, powerful ways on the physical plane as of late in the strength of signs and synchronicities sent forth. It is hard to talk of the love and appreciation I have for them, and what they have brought me these last few months, so ill suffice to say I finally feel the previous trials have borne their fruit in their entirety. This has put me in a good place for forthcoming work in 2019 – which will involve again, some strict theurgic work to open the next set of stellar pillars. Surgat has finally been contacted over these last few months, and successful pact has been entered. This will be sealed by taking his mark over the coming weeks – at which point the correct empowerment and protection will be in place to open his lock on the Ivory Path. I am heavily looking forward to kick starting this process – hoping to work through this quickly and then by summer, have Lucifer’s stellar pillar fully opened. This should hopefully pave the way for the work with Belial, the spirits of the stellar caverns, the Ivory Spider and finally, of what is making itself known as the rite of ‘lesser whirlpool’. Full understanding of this process will be unveiled in time, as individual works are completed, which should allow for rapid assimilation of the dependent gnosis. One of the side affects of this work is expanding awareness of the great stellar spirits that ply their way through the heavens. Greater knowledge of the stars reveals just how much has been lost, from a magickal perspective, in regards to knowledge of working with these entities. Even old magickal systems that are often relied on, whilst arguably more dependable than modern systems, are also shown to be greatly lacking – most of them being invented thousands of years after the majority of the truly wondrous stellar magickal lore was lost. In many cases, the stars became subservient to the planets or worse. This is strongly demonstrated by modern astrology – taken to extremes in popular, shallow, banal sun sign fixation – which has withered to the point of being unusable outside of as a dubious self help tool. Here, Alan Leo and the Theosophical Society have a lot to answer for. These systems would have been entirely alien to the stellar priests of the past, where the stars were exalted as powerful beings of their own whose portents could be read to accurately predict the streams of fate and complement soul travel through the heavens. There is a rather good article on this, that can be found here by Ida C. Benedetto, which covers this in some detail. My own goal with this entry is a little different. What is important from a modern stellar gnosis perspective is direct contact with these entities where possible. To be able to accomplish this, one must have an appreciation and knowledge of the physical structures on which our Magick is based. Thus, we must turn away from overly abstract, simplified models back to complex and deep investigations that lead to a living star praxis. One of the greatest collections of Stellar Entities and Formations, can be found in the constellation of Orion, which is a great starting point to investigate this expansive field. Being one of the most easily recognised constellations, it is a veritable powerhouse of stellar power than lies along the celestial equator making it visible throughout the world. The picture below shows Orion in incredible detail, including several important deep sky objects. Learning about this area of space would be of great benefit to someone who hopes to gain Stellar Gnosis and work it into their practice. Photo taken by Rogelio Bernal Andreo in October 2010 of the Orion constellation showing the surrounding nebulae of the Orion Molecular Cloud complex. 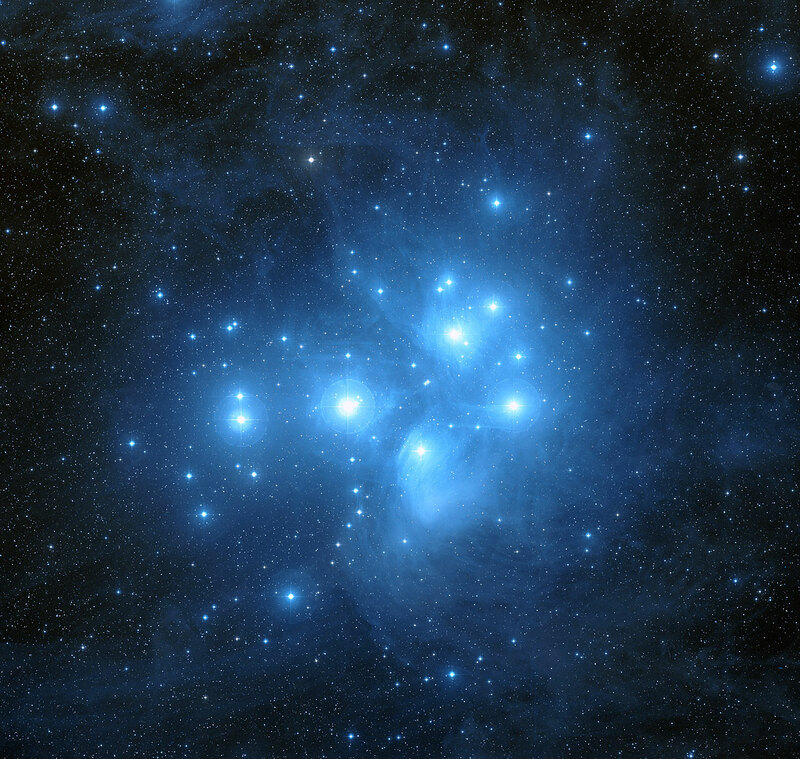 The ‘main’ stars that make up the constellation are full of power and history. The top most star, an orange giant named Betelgeuse, is very dominant. Betelgeuse is expected, within the short stellar timeframe of two million years, to explode as a giant supernova. Going clockwise, we have Bellatrix in the top right, Rigel in the bottom right, and then Saiph in the bottom left. The belt asterism is made up of the stars Altinak, Alnilam, and Mintaka. Below, a basic table of the statistics of these stars are displayed along with relevant links to further information on their physical makeup. It should be noted that some of these stars are in fact binary stars – meaning that the system is in fact made up of two stars in close orbit, that appears as one point in the sky. This has an effect on the energies that are drawn through when working with them. Orion, is traditionally associated with the huntsman of the same name from Hellenic Myth. Plenty of other cultures have a similar, martial theme to describe mythologically this constellation, and the surrounding stellar structures. Personal experience has led me to utilise these stars in powerful rites of stellar purification and earthing – in fact they played a major role in the ritual to earth Lucifer’s stellar energies, and uproot the entity from the cursed earth that was encountered in earlier workings detailed on this blog. Specific gnosis shows indeed, Betelgeuse is the ruler of this constellation, when they are worked together, with Alnilam being the lens and mediator in which its power is directed down into the constructed stellar gates. This current is incredibly electrifying – of such benefic power that it really does bend the mind to experience it. When directed in the name of Hecate, Lucifer, Belial and the Lord of the Dark Star, it can be used to create stellar anchor points of such strength, drawing in a quickening and empowering current into the flesh of the Earth. This is something i hope to detail in full at some point in the future – this ritual, that was the sealing of Lucifer’s promise and gift of the Phoenix fire. The amount of energy that is able to be channelled should not be surprising – with this being an active, physical birthing ground of new stars in the many deep sky nebulae that can be observed here. Here, the hearts of new stars are forged, within the winding strands of the Orion, Horsehead and Flame Nebulas that make up the Orion Molecular Cloud Complex. Orion is also a useful pointer to other, powerful stars in that region of the sky. This can be of most use to a witch making use of stellar power. Firstly, Orion’s belt points to both Sirius and Aldebaran. Sirius is the brightest star in the night’s sky, and as part of Canis Major, is also known as the Dog Star. This has long been considered to be ‘Orion’s Dog’, that follows him through the sky. The Greeks believed it to have a baleful influence on dogs, driving them to frenzy. This is contrasted by Persian star lore, which assigns Sirius to Tishtrya, a divinity of rain, fertility, and the antagonist of the demon of drought. To the opposite end indicated by the belt, is the star Aldebaran, one of the Persian Royal Stars, which lies in the constellation of Taurus. In this system Aldebaran was seen as the Watcher of the East. The Persian Royal Stars were seen as the Guardian of the Skies, and were made up of Aldebaran, Fomalhaut, Antares and Regulus. The implications here for those who are clued up on the identity of the Princes of the Quarters should be obvious. That will be an interesting avenue to pursue, especially from a primal craft perspective. It bears mentioning that three of these match with the Behenian Fixed Star list, with Fomalhaut being the exception. It is interesting to note that the Hyades lie directly behind Aldebaran – distinct from it, but easily noticeable, with that great star seeming to act as their current gatekeeper due to it’s position and prominence. Procyon can be found tracing a line from Mintaka through Betelgeuse. This star is seen as a companion of Sirius, falling in the constellation of Canis Minor, and is also seen as a ‘Wolf’ star. Following a line through Rigel and Betelgeuse, the stars Castor and Pollux may be found, mythological twins which lie within the constellation Gemini. Finally, those powerful, luminous, class B stars of immense stellar power that make up the sacred Pleiadean Gate may be found by following the path towards Aldebaran but continuing slightly further along the imaginary path. Here they appear as a dense cluster of stars, easily visible to the naked eye. These beautiful stars, who make up the circle of the sisters, are important for their protective powers that feature in the basic circle construction ritual that primal craft utilises. These stars could form a whole entry on this blog themselves, so I will leave it by simply saying that, with Taurus / Auriga lying at the galactic anticentre, these stars lie directly in the path that takes us outside of our galaxy. As such, they therefore form a magickal channel of great power, to the interstellar void that lies beyond them. This lies in contrast with the power emitted from Sagittarius, where lies the pulsing heart of our Galaxy and that great stellar portal over which the Lord of the Dark Star holds claim. I hope I have instilled in the reader the desire to explore this area further. The ease of which identification of these stars can be made lend them well to being a springboard for further investigation and work, especially when we consider how densely packed this area is with stellar lore and power. Thus we become blessed with greater knowledge of the stars, thus re-birthing our relationship with these stellar entities. I end this entry with a single image that details the evolution of Orion. For the stars are not static, but are living breathing beings, which only an active approach can seek to reach with genuine and long lasting success. I can start this post by safely saying that the issue surrounding the chimeric spirit, as detailed in the previous entry, is now fully resolved. The spirit was bound successfully on the full moon, into the constructed box and witch jar. This operation went far smoother than expected – although certain physical anomalies did present themselves as the spirit obviously did not wish to be anchored into the vessel. This complicated the ritual slightly but at the end of the day it was completed without serious issue. Follow up dream work, with said spirit, confirmed it was successfully bound. Due to the sensitive nature of the work unfortunately I cannot provide pictures of this ritual or any documentation detailing it in depth. However, I do want to quickly and briefly discuss the synchronomicon of Lucifer, how I see it being used and it’s connection to the Phoenix in my work. Lucifer as anyone involved in Witchcraft the Trident Current will know, is a truly complex entity. The many masks, names and identities all attributed to him are endless, and to truly delve into this subject and his history would be the subject of an essay all to itself! In Trident craft, there exists a particularly powerful set of Voces Magicae, which allow the witch to channel the power of all the many names of this witchgod at once. Described in detail in Queen of Hell by Mark Alan Smith, the synchronomicon is vital to correctly channel Lucifer at the higher levels required for further theurgic work. However, in the original book the means by which the synchronomicon is unlocked is detailed only briefly: it is stated Lucifer should be evoked explicitly and the synchronomicon requested. It would be good to add that of course, it doesn’t always go smoothly. Lucifer isnt simply going to give access to this because someone THINKS they deserve it. As anyone who has been reading the latest entries would know, Lucifer may ask of the witch to fulfil a particular task or bring forth a particular piece of knowledge forward in payment for its unlocking in pact. Note that the explicit evocation and fulfilling any agreed pact is required before the synchronomicon can be used. I have seen recently many so called witches and occultists, usually those who are not really working with the current but simply mashing material together, use the synchronomicon call wedged into their work seemingly with little thought or respect. Without the proper process undertaken to unlock it, the synchronomicon call, vocalised, is worthless. Without that step it is purely empty, meaningless words. It has to be unlocked at soul level. This is a point I cannot stress enough. If you see someone detailing to use this call without stressing this point, it shows they likely have NO understanding of the synchronomicon and lack the ability to actually make use of it. This sounds like common sense but it feels a point I think has not been taken on board. Once unlocked, the change from before and after should be obvious. To myself, the synchronomicon bestowed strange, fire like powers, revealing the phoenix flame within. This takes the form of a literal phoenix within a transparent, gold-copper pyramid which can be extracted and its energies directed to compel, bind and cleanse upon both inner and physical planes. I don’t feel this is somehow unique to myself but something that anyone with the right approach, and paying the right price, can also gain access to. This is the difference in power between those who use empty words chasing ‘recognition’ and those who put in the work and are able to access this point of power directly. The pure stellar fire that is able to be directed as well as the quickening of Lucifers energies when used in possession work makes this more than worth the effort to attain. Using the phoenix once bestowed seems entirely intuitive. It is able be to fed directly into the aura to protect and heal. It can also be projected into the surrounding circle in ceremonial work to greatly reinforce and empower the ritual space. The use of the phoenix in this fashion can be done almost in an instant by drawing it from the heart energy centre. When bestowed, the sigil of the phoenix can also be marked on particular surfaces for various effects. I leave that up to those who are able to gain access to the phoenix to explore. The start of 2018 has been a productive, if difficult month for me and my practice. The Lord of the Dark Star ritual went well, for myself and others, but practically all the gnosis and experiences granted were deeply personal. As such, what can be shared is very little. However it does demonstrate that despite being aloof, if searched for correctly and intensely, he will answer and show the way. I see this as a great sign – the unfurling of the Stellar Gnosis thus continues! I am still working on my own documents here, which need to be completed, before the next work with Surgat can truly commence. That hasn’t stopped the energy continuing to rise, sometimes to an unbearable level as almost nothing I do seems to quieten it. Balancing the subtle bodies helps, but this is something im slowly beginning to realise I have to let naturally peak – as such, I believe im in for a hell of a ride. The body and mind feel exhausted, but the spirit and the energy that comes through is such a powerful, vital lifeforce everything seems to glow in newfound colour. January as a whole has been difficult – the local group I work within has had organisational issues, which has left me in charge of both leading it as well as writing up the formal rules and documentation. In addition, one treasured incarnate familiar died suddenly, albeit with some warning as his health had been deteriorating for some time. This necessitated additional workings – to ensure that his soul upon leaving his body was correctly orientated, and a link with the Dead fetishes created successfully. Despite the above, there are numerous topics floating around in my head I wanted to make a few posts on. One of them is the importance of natural, found objects. In my work, these have often proved to be the most powerful of talismans. This could prove the same for you – if you know where to look, and how to approach their collection. I often see people getting excited over mass produced, altar items, and looking at one recent object I’ve been working with again, it seems quite funny in comparison! This object is nothing more than a stone I collected from the shores of the Adriatic sea. But what an object it is. To illustrate, I’ll lay out the entirety of the tale. Me and my partner were out swimming there whilst on our vacation, when we felt a very strong draw towards a small cave. It was only shallow, and didn’t seem like it went far back at all into the cliff face. Deciding to investigate, we decided to take a look. As we entered, crabs scuttled away from us, seemingly offended we had intruded into their space. Slightly tired after our swim, but still enjoying the adrenaline, I myself wasn’t paying much attention really. As I made to turn back, happy with our small adventure, I was called over to inspect a strange, flat stone that was inset into the cave wall. It was small, almost perfectly flat, and metamorphic in nature. A small band of quartz or other similar material seemed to cut through it. We pulled it free and examined it closely. Holding it, it emanated quite a strong, powerful energy, that seemed to call out quite insistently. Not being familiar with the area, I was at first cautious about taking it with us. Not knowing the spirits of the place, it makes it difficult to judge when to accept something that’s obviously been brought to your or others attention. However I decided, with my gut feeling, to go for it. It felt extremely smooth as I tumbled it in my hands. The first impression I got was like falling through dark, dark water. It was not a sudden onrush of power, but it felt like being dragged down and down, somewhere far below. It didn’t feel threatening, more impressive – but like any strong current, it was a little disconcerting. As such, we took it back to the place we were staying. I promptly placed it on my bedside table, and forgot all about it. That night, I had a very strong, powerful experience. Falling asleep, I entered a discernible period of astral travel, floating just outside of my body. This was not at my own will – it felt almost as if I had been forcibly evoked into this state! I could immediately feel a strong and powerful presence. Scenes of the sea, and of some strange silver serpent like entity flashed before my eyes and I soon found myself under a perceived malefic attack. I could see in the astral, dark moving clouds swirling around me – taking on the appearance of predator forms, equipped with teeth! Further flashes came of this winged snake, viciously coming upon me. The attack slowly waned, and I saw dark figures circling around me. The attack suddenly renewed with increased ferocity. Terrified whatever this was would be more than capable of breaking my auric shielding, I closed my eyes and called upon Hecate. I was bathed in a green-blue light almost immediately. This energy was so great that it felt like suddenly being plunged into almost boiling water. Incredible golds snaked across my vision, forming three crossed tridents. All sense of fear slipped away as I floated embraced in Hecates pure stellar energy on all sides. I remember asking for her protection, to stop this supposed attack. As I did, I was returned to the room whereupon the ‘attack’ had ceased. The black cloud moved into my body and a voice of a male nature resonated throughout my being. The entity appeared in flashes as a large hooded ‘man’… a single word resonated from its mouth as it gave its name, a name that must remain secret. 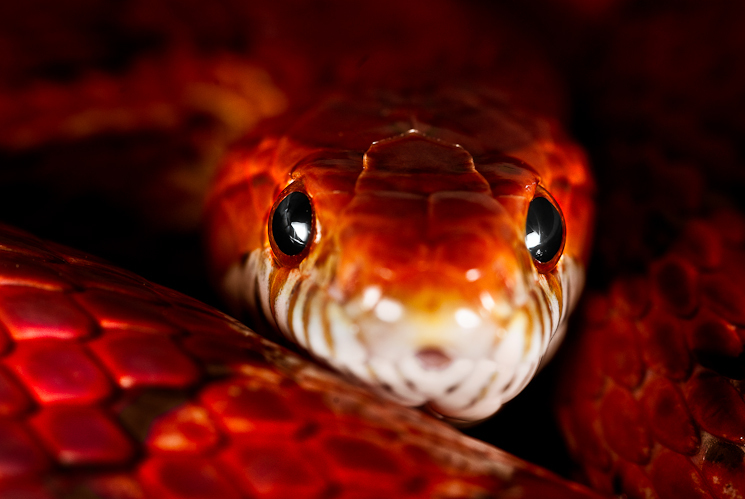 It’s eyes, reptilian in nature, were like deep pools of ever changing gold, blue and green colour. Atop its head, protruding from its robe, were two straight ‘horns’ made up of some glowing opalescent material. The image of the entity gave way as I could feel myself being pulled through time and space. The feeling was akin to that of both falling, as well as being sucked through an aperture at the same time. I saw the stone, glowing powerfully blue, against a dark background. I allowed myself to be drawn through and into it, and fell through a streaming tunnel of blue light. I suddenly felt cold rock on my bare feet, and a warm, but refreshing ocean breeze was washing over me. In front of me I could now see that I was standing in a different cave, two entrances directly in front of me opening onto a wide, ocean expanse separated by as single, brown stone column that could have been either natural or artificial. I could tell by the perspective of the ocean we were extremely high up. Directly in front of me, briefly, flashed a strange symbol, like a triangle containing the letter V, with a strike line running through it. This faded, and immediately I became aware of three figures standing around a stone font, which contained crystal clear water. The figures were clad in full length hooded robes of some light material, each detailed with vine like patterns. Each of the figures wore a distinct colour : Gold, Blue, and Green. Each looked close to human, but also in some way disturbingly otherworldly and unheimlich. 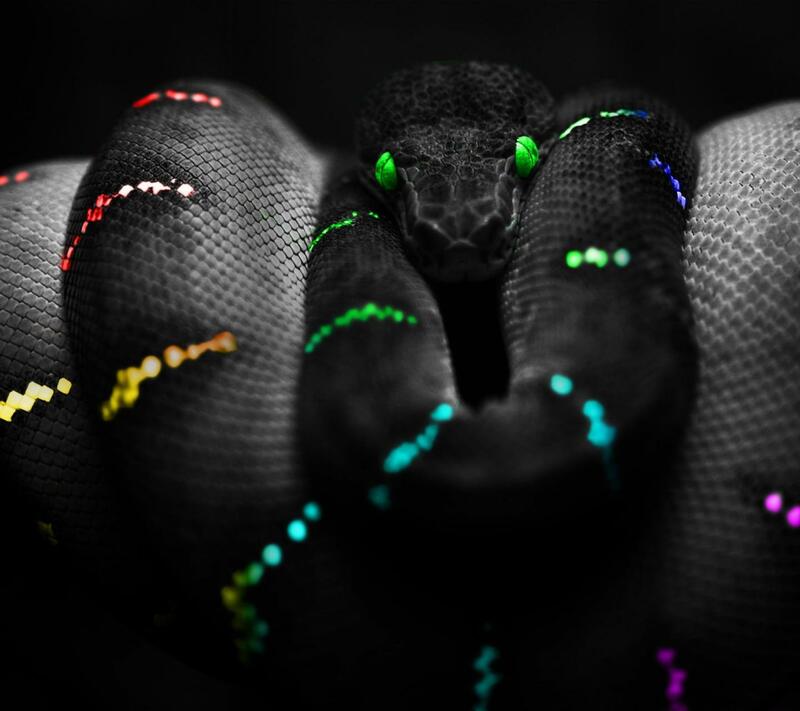 Their shadowed faces were contrasted with reptilian eyes of ever changing colour, similar to the previous entity and they possessed the same kind of horns. Two turned to face the other ‘entrances’ to this space. Left was taken by blue, right by green. Gold turned towards me, and all raised their hands. A powerful golden glow overwhelmed me and I felt powerful energy being radiated out towards, over and into the oceans. This energy was immense and it surrounded me utterly – it was incredibly primal and powerful, almost uncontrollably invigorating in nature. I remember being almost zapped back into travelling form, just on the boundaries of my body. Reintegrating this and actually waking up was an almost painful experience – i felt distinctly groggy. This was unusual, for that vacation for all other intents and purposes i slept deeply and woke refreshed every other day. This experience has taken some time to properly integrate. Even some 15 odd months later I am still working out just what was actually shown to me. I believe that this entity that visited me is linked to the Guardian which stands sentry to the Stellar Gate of the Ivory Spider, but I have yet to ascertain this via ritual. As to the other, three entities, I believe these to be spirits of the mighty dead, who once perhaps worshipped this entity, maybe even Atlantean in nature. This leads me to believe that the initial entity is much more than a ‘bit’ player in this process. However I have had no direct encounter with this form of this entity since. The stone has proved to be linked to this strange, stellar water element. Holding it allows for easy projecting down into the buried stellar network on the inner planes of the Earth, of which the Stellar Gate of the Ivory Spider makes up a central part. Recently, my other half held the stone without this information, and was able to, without any training and just exposure to the energies contained within, project into part of this network without any assistance on my part. Without any leading, they relayed information matching almost exactly with the description of the tunnels – albeit the projection had taken them to a different location within the network. No special technique was used to accomplish this. The stone was simply given to be held, as part of working on their natural gift for ‘sight’, whilst within the indoor temple space. The whole thing seems saturated with this powerfully ancient energy – how it obtained it is anyone’s guess, and I do not doubt that our experiences with it helped to seat and strengthen the power innately linked to by the stone itself even deeper within its material form. So my advice would be: explore. Go out into the wild places and look at the world again with open eyes. Although there is certainly no guarantee of success, or even safety for that matter, true gems can be found in the unlikeliest of places. You likely won’t get that from buying something that has no real, innate power. Or worse, an item that has been collected or cared for incorrectly, and thus built up disruptive and harmful energy. Through Which All Things are Made Possible. To follow on from the previous post, the Amulet of the Stellar King was as planned utilised in an evocation rite, on Samhain. This ritual was designed not only as a devotional work due to the Sabbat, but to request access to something remarkably special. Walking this path, up to this point, the power of Lucifers many names was not required. However, the Gods made it more and more plain that in order to move from working from Hecates stellar gate to Lucifers, access to them would be a requirement. As such, the amulet was used in a powerful evocation work with Lucifer to formally request this. The initial evocation took longer than anticipated to elicit a positive response – likely indicative of a test of perseverance on their part. A powerful shimmering of the triangle, like a heat haze, accompanied by darting shadows and an intensification of the energies in the room, albeit subtle marked his arrival. This developed into transvocation, through inviting Lucifer into the circle and into the flesh itself, connecting inner and external manifestations. Through this, Lucifer unlocked the seals on the use of his many names thus bestowing upon me their use via the associated words of power. Without the unlocking of these seals, the words are nothing but hollow – however with it, they become a powerful stellar key. From here, in auto-writing, Lucifer communicated much. Surprisingly, he gave me a very important task to seal the work. This task was no less than to undertake a journey to the foot of the mountains here, and create a stellar gateway which would earth those currents, of the star lords, into Belials flesh. This would have the effect of quickening and re-enlivening the land, whilst facilitating its healing from its relatively violent history and current spiritual malaise. The timescale given was that the work was to be completed in under three full moons. The formula consisted of many parts, the main one being the requirement of the the construction of a physical anchor point under the New Moon operating under starlight only. To this end, several stones were collected and marked with the anchoring sigils Lucifer sent in subsequent workings. The picture below details these, before they were ritually empowered in preparation for the trip. On the 18th of November, this gateway was thus opened under the watching stars of Orion, in accordance with the formula given. The actual ritual itself was extremely taxing due to the abundance of physical manifestations present at the location. As the foundations of the gateway were lain and ritually ensouled in sacrificial witchblood, the Stellar currents gave way from powerful,subtle and uplifting to roaring black energies as the wound so to speak was powerfully lanced. Hecates wolves were instrumental at holding the circles edge here – without them and the amulet, I firmly believe that the opening of the gateway would have failed catastrophically. However with their aid, the gateway was with some difficulty opened in the name of Lucifer, the Lord of the Dark Star, and other present stellar lords who had made their presence known. With the energies thus rooted, the location was left with the wolves still guarding the location until I was clear away from the location of the rite. From here, powerful currents continue to flow outwards – and continue to affect me. Dreamwork has been extremely vivid since opening these gates, and the power from then has even bled over, affecting those close to me. In one case, a good friend being energised to full sabbatic flight despite 0 experience with such powerful workings. With the drawing down of the stars, the opportunity to work in future again at the location presents itself, as working at the nexus or the surrounding land will draw from its power. Anyone who is able to effectively work with the stellar paths will also benefit from the increased energies now enlinked. The above work brings me nicely to the 21st of December where myself and some other Trident practitioners are planning a ritual to honour the Lord of the Dark Star, a powerful entity in our current. This will be many peoples first workings with him, and im excited to see how their relationship with him develops – knowing full well how aloof he can be! This time of the year has in my own praxis become intrinsically tied with him – for the part of the world I live in, the conjunction of the seasons with the dark or close to dark moons is excellent for these kinds of workings. After the completion of the above, its likely going into the New Year further work will need to be done with Surgat before Lucifers stellar gate is opened. Ill be taking the time this month to catch up with the many things i need to write up about in my personal journals, but will hopefully put up a small post sometime the back end of December detailing anything that comes out of the Lord of the Dark Star Work where possible. As an aside, the domain will be renewed around this time. There shouldn’t hopefully be any site disruption, but in the off chance of that, the backup url of https://theluciferianrevolution.wordpress.com should still function. Just a small post this time to update with on going work on the path. Work continues with Hecates gate, which is mainly in stabilising the currents that have been opened this far and allowing for the approach to Lucifers part on the stellar journey. During work with Hecates gate alot of interesting gnosis has come forth. The main pieces of Gnosis being the clarification on the entity that guards the way to the Ivory Spiders dwelling place, at the Star Pool of Belial. This almost angelic, knightly figure is interestingly arthurian like, which has been very surprising to me. In addition, further gnosis has been given regarding an entity made up of a combination of Lucifer and Belials energies. Further gnosis on the identity of the soul form to be assumed with the culmination of the opening of all the stated gates has also been given. All of this needs fleshing out, and detailing in my own personal notes. This is a notably laborious process, with me having to update both my own working diaries, as well as the electronic copy im putting together for both safety in case the originals are lost or worse, damaged and destroy, and when the path is successfully walked and completed to hopefully distribute if they allow. More work has to be carried out not just with Hecates gate as well, but the Ivory Spiders in regard to understanding more of what is coming forth. Alot is still unclear, and this gnosis is not understood well via speculative interpretation but only in possession and intuition. Hecate has given information on something i can only describe as the God Stones for which she wants as sacrifice.. the original of these were collected from near her Temple of the Four Pillars of Fire from the ocean. One was given to someone for healing trauma.. the other on request of her which opened up powerful currents of Belial for that individual. My own stone had little effect for myself until now, and she is now revealing as to why that is and how it will play a small part in the completion of her stage of this work. In one particular rite, that could be useful to others and in no way requires the use of her open active gate to gain some, if not full benefit, is a particularly useful bit of possession work. Anyone who has embodied both a primary and secondary familiar, or has familiars in general, would be able to use the quick outline as follows as a powerful, healing ritual. Note it is not given in full: in future I may digitise fully the original rite, removing the path specific elements that are not ready to be revealed as of yet. 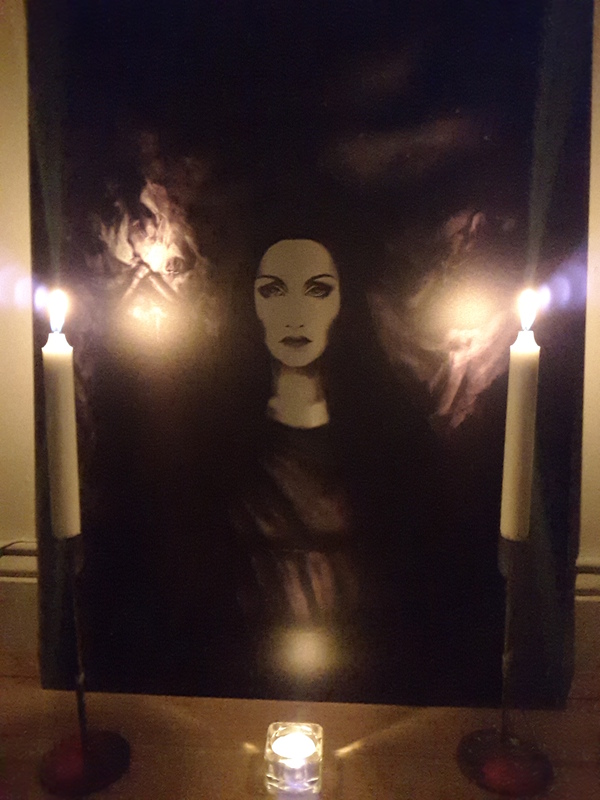 Firstly, in the East, a fetish of Hecate is placed that has already been cleansed with water and incense in the usual manner, and activated in your blood. This can be a picture of her, a statue of some kind, or maybe a black board with her sigil painted with gold on the front. As long as its unique to her, it is a appropriate focal point. A black mirror could also be consecrated for this purpose of direct communication with her. This is flanked by two candles, and then any spirit houses of each familiar, ideally the doll bodies. A beautiful rendition of Hecate on metal, acquired from Primal Craft as a working tool before activation in blood. This picture does not do her justice. The ritual is opened however you normally draw the circle. I start at the west as mentioned at the altar, going widdershins. The candles surrounding her small temporary space in the east can be lit as part of the circle opening or specifically when you come to work with her, it doesn’t matter as to the order of the operation here. The circles energy is raised through successive calls of power. The planetary calls or that of the ephesian letters is fine for this. It is then opened as far as possible, and reinforced seven times. The practitioner should then open both trees of Day and Night, day first as in many of the detailed rites. As best as possible, she should be invoked to attempted godform assumption as far as the practitioners skill and Hecate herself allows. From here, at the East, her fetish is blooded and the familiars are called one by one into the flesh, to partake of the coming union. Finally, Hecate is asked to joined you in sexual magickal communion. The resulting union between witch, god and familiars is best described as a miniature Sabbat flight as the self and the familiars are utterly bathed in her Kalas. This is extremely healing, and needs to be experienced to be believed. This should be continued until exhaustion for full effect. After this, Hecate will likely deliver personal messages, tasks or other things she wants to relay. The familiars themselves will also likely to continue to make their presence known with potentially very physical results. The above is best carried out at the full moon, but can be carried out on any night that isnt overly close to the New Moon, from what I understand and what I’ve worked. There is no limit to the amount of times it can be carried out. The above came at the right time for myself, and helped to heal me both physically, mentally and spiritually from a small hole id found myself in due to the venoms released from the previous gate work. I hope it helps anyone else, at least to form ideas, of how to approach some ritual magick ways of merging with her and receiving healing. Finally, I’ve had a luck of being able to make it to the ‘Spinner of Fate’ event being held in the UK this year by The Covenant of Hecate. I’m looking forward to this extremely, and if anyone who happens to be reading is going, I will hopefully see you there. For the rest, I hope to share what I can closer to the end of March.